Skirt for round trampoline of 3.90 m in diameter with 5 pockets. 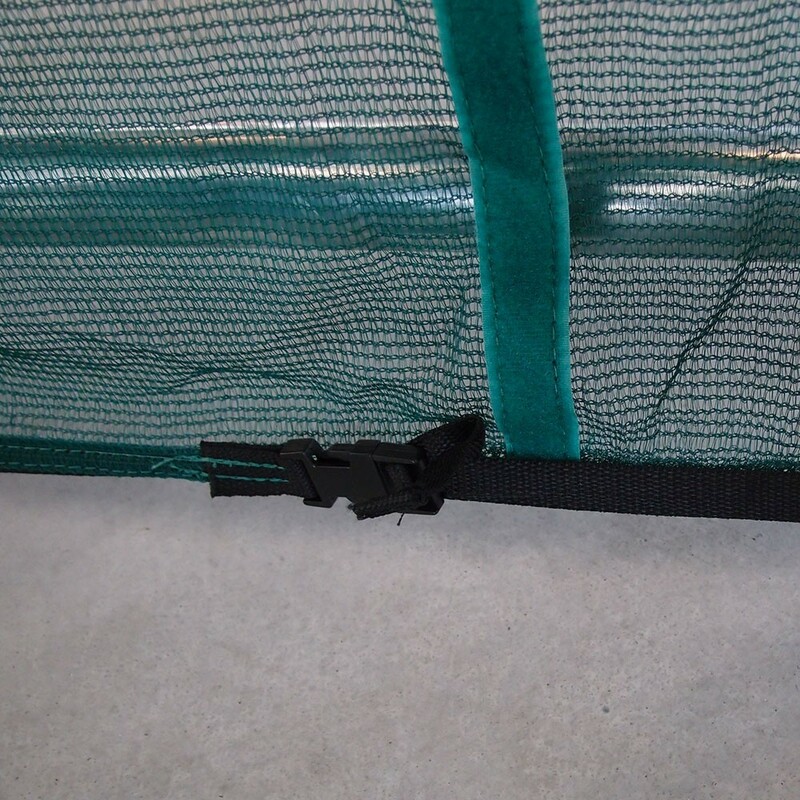 France Trampoline aims to make your safety their top priority, with this safety skirt designed to surround the trampoline and prevent any passage to children and pets underneath it. During a bounce, the jumping pad and the springs are in movement, making the trampoline dynamic and powerful. Therefore, when someone lands on the jumping pad, it can sometimes touch the floor. Obstructing the passage beneath the trampoline allows you to be certain that children and pets are safe and will not get hurt. - The safety skirt is made from very fine netting. It also lets light through, meaning that you can see under the trampoline. It is very easy therefore, to check under the trampoline that no one is there before using the trampoline. - Several storage pockets have been placed on this safety skirt, which will be a great asset during your training sessions. Thanks to its 5 pockets, it is easy to put everything away safely but still have it close to hand, whilst you are enjoying yourself on the trampoline. 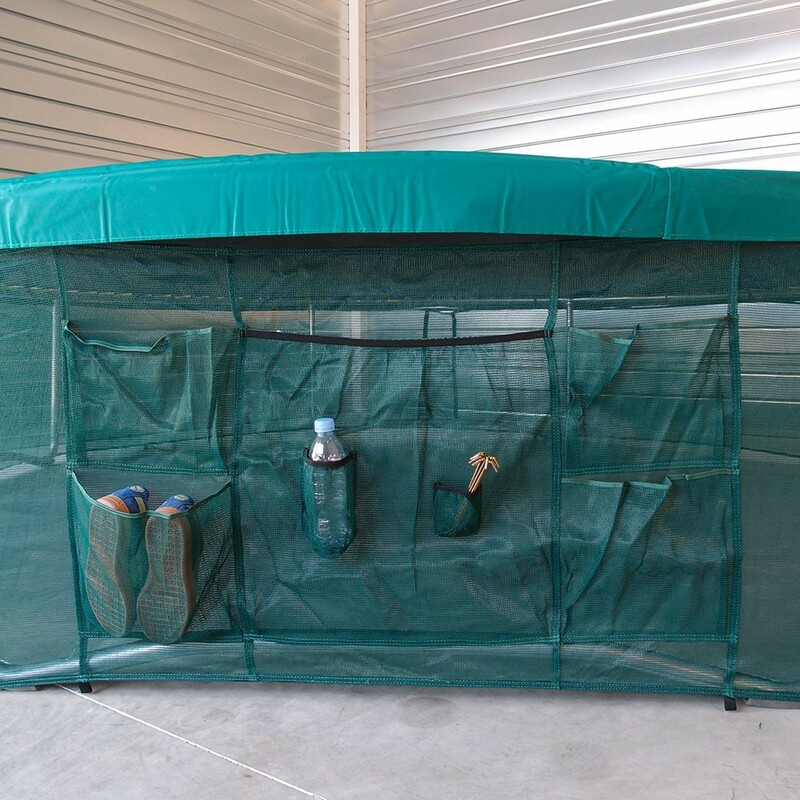 You will be able to store telephones, shoes, snacks and anything else you need to have uninterrupted fun on your trampoline. - It is very easy to attach the safety skirt. 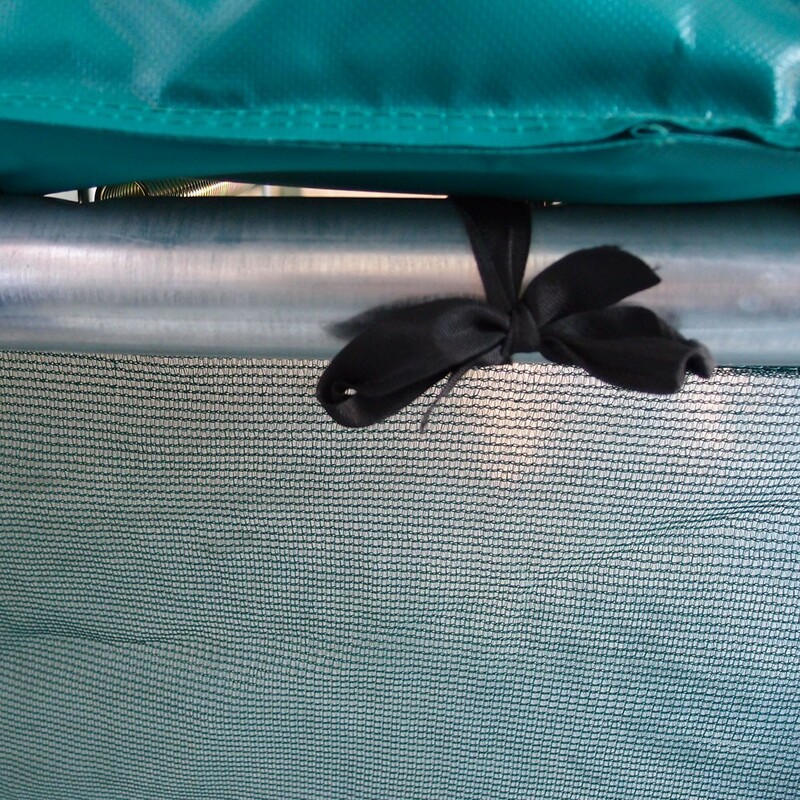 Not only is it fixed to the steel framework of your trampoline, but you can also use the tent pegs provided to fix it firmly to the ground, guaranteeing more stability. - This accessory is adapted to round trampolines of 3.90 m in diameter. - The safety skirt is green.